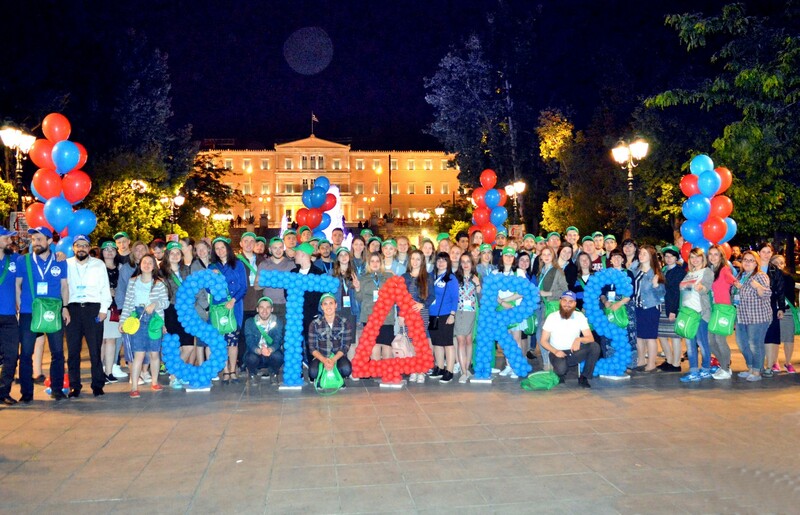 At the beginning of May, 80 young Jews from Ukraine went on a week-long journey to Greece as part of the STARS Ukraine annual Europe trip for the program’s most excelling students. The participants, aged 18 to 28, came from all over the country for the unique experience. The trip, while being a reward for the students of the intensive program, who study Jewish heritage 6-8 hours per week, also serves to expose the students to Jewish communities in different countries and expand their horizons of the perception of modern Jewish life. “The trip united our best students as one family, one team. They learned about the Jewish history of Greece and also got to see the contemporary Jewish life in Athens. They spent an unforgettable Shabbat there, got to know each other, their mentors and rabbis closer. And of course we hope they got a blast of energy to continue leading an active community life back home and further transfer the new knowledge and experience,” said the director of STARS Ukraine and one of the trip’s key organizers, Zalman Bokarev. One of the trip main highlights was the traditional Jewish wedding the program organized in Athens for a couple who met on STARS studies in Kharkov. 23-year old Andrew Tarasuk has fled from his native Donetsk 3.5 years ago with the outbreak of the war on Eastern Ukraine. His family relocated to Kharkov, where Andrew continued his Jewish education in the local STARS program. While attending the weekly classes, he met Shoshana Mikoluk, also a student on the program. Their Chupah and wedding ceremony in Athens were led by Rabbi Pinchas Vishedski of the Donetsk Jewish community on the night of Lag BaOmer. Other activities on the trip included boat rides, archaeological sites, various local attractions, as well as daily lectures and workshops. Mr. Bokarev also mentioned the incredible logistics and organizational support the group received from the Chabad rabbi of Athens, Rabbi Mendel Hendel. STARS Ukraine, initiated and sponsored by Brazilian philanthropist Mr. Eli Horn, Russian Israeli businessman Mr. Itzhak Mirilashvili and the Mosaic United organization in partnership with the Federation of Jewish communities of the CIS, unites over 800 Jewish young men and women in Jewish heritage studies all over Ukraine.